Will's professional idealism is put to the test with his new news team when they are first to cover the Deep Horizon platform oil spill. Will McAvoy: What does winning look like to you? Mackenzie MacHale: Reclaiming the fourth estate. Reclaiming journalism as an honorable profession. A nightly newscast that informs a debate worthy of a great nation. Civility, respect and a return to what's important; the death of bitchiness; the death of gossip and voyeurism; speaking truth to stupid. No demographic sweet spot; a place where we can all come together. five percent can do much better..
Sorkin's admirable attempt to dramatize the news section with a gut wrenching anatomy on behind the scenes of this show business, is one of the biggest upset ever to come across the screen. And not because of its failure on various aspects, it still falls under mediocrity but the expectations that it brought with such caliber of cast and makers, it is surely a swing and a miss. Sorkin's signature writing patterns is clearly visible as it is brimmed with competitive arguments and too many verbal sparring that moves with ferocious pace, he always keeps his audience on the edge of their seat trying to keep up with the narration. But as much political galore this vision is, the actual content, the core of the drama that it has to and does rely upon is the real culprit in here. The conversations are chalky and the connections of the plots to pass the storyline forward is poorly weaved out. It seems like the venue has changed but the usual love affairs and breaking and mending of equations, is still their, the seen-this-seen-that details are outdated and audience is much smarter than this. The execution too isn't appropriately handled along with the camera work that is more pretentious than it is productive. The only responsible man that makes your time worth is Daniels, in his morally complex and socially challenged coat that he is in, which too may seem like your usual anti-hero, but has much to offer as the character ages on screen. Supporting parallel-y is Mortimer whose quirkiness is easily absorbing, than her drama is, to be fair she isn't given the range to factor on a larger scale. Other supporting cast like Pill, Patel, Munn, Sadoski and Gallagher Jr. are the weak links to the series. 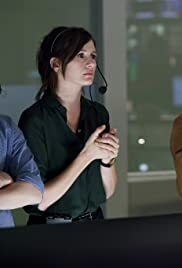 The Newsroom could have been much more than just news, and this time even Sorkin couldn't convince us to watch the news. The euphoric energy that ignites its pilot, never wears off throughout the season, but with none whatsoever new concrete material to offer in terms of characters or the equations between them, this is probably the most disappointing writing to come from Sorkin's magic bag. The build up of the entire episode is pinned to a justified nail biting drama and even though it jumps a few steps, the bitter drama covers all up for the broken or lost pieces and besides to really enjoy their thirst for attention, one has to scoff off few arguments.